I have no problem with Hollywood approaching the 2008 financial collapse; look no further than my “A” for Charles Ferguson’s documentary “Inside Job.” But it’s a slippery slope to walk on, and Oliver Stone’s slanted “Wall Street: Money Never Sleeps” does a total face-plant as its blatantly pointed activism destroys any legitimacy the movie might have. Compared to Ferguson’s fascinating investigation and research, Stone’s allegory is a cowardly and vicious attack on the system of greed that the original film highlighted in 1987. There was no reason to resurrect Michael Douglas’ Oscar-winning character Gordon Gekko at all, and Stone’s haste to use him as an instrument in unleashing a tirade against Wall Street renders his transformation senseless. In the first film, he was a slimy representation of greed and excess, and an antagonist meant to be deplored. Yet in 2010, he has been conveniently reassigned to the voice of the writer and his liberal sensibilities. No matter where you fall on the political spectrum, this move just doesn’t work under the basic conventions of storytelling. The movie’s main plot is mostly independent of Gekko, tying him in through a broken relationship with his daughter Winnie (Carey Mulligan). She’s engaged to Jake (Shia LaBeouf), a young upstart banker who gets caught up in the idea of creating something from nothing that he ultimately winds up without anything. After the suicide of his mentor, he finds himself reeling and very lost. This movie put me to sleep. You are right that the story doesn’t even seem to revolve around Gekko and I always have disdain for movies full of hindsight. I made my 10 worst list too soon. This would easily have charted. And I might have fallen asleep had I not been exercising while watching it. I had no interest in seeing the film for 2 reasons. One is Shia LaBeouf who I dislike a lot for any of the films he’s in (except for “The Greatest Game Ever Played”) and I always feels he looks too young for these roles. The 2nd is Oliver Stone, a director who I feel should just hang it up. He hasn’t made anything compelling since “Natural Born Killers”. “Nixon” was OK and “U-Turn” had some great moments. It’s just that everything else afterwards was just awful with “Alexander” being the worst. 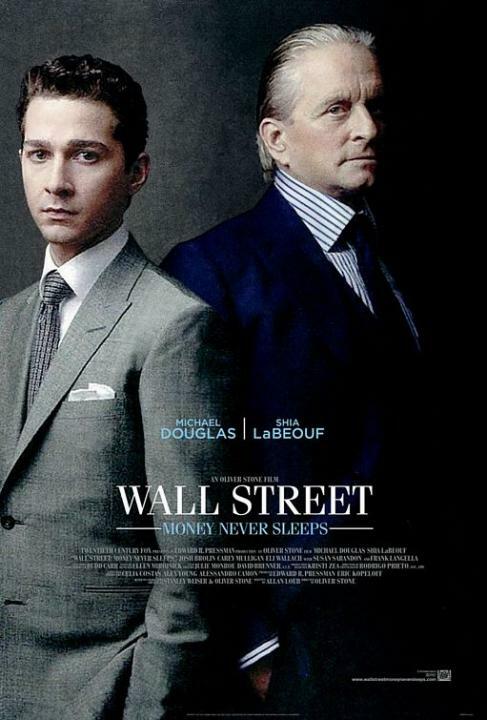 It would be cool to see Michael Douglas as Gekko but in a better movie. This movie really is just a lump of coal, it meanders around never really going anywhere and even though the actors seem to be trying it’s just not working. The script absolutely sinks its chances.